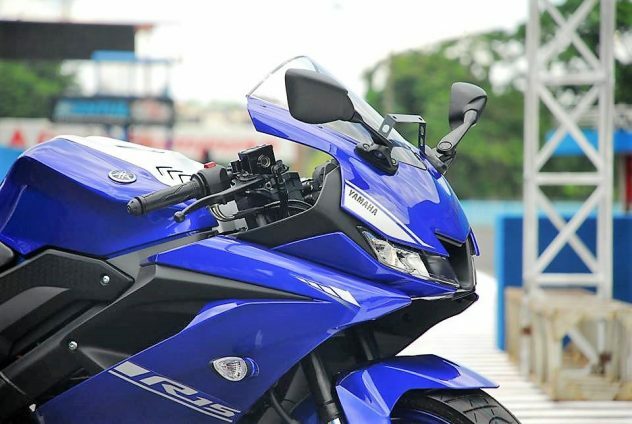 All you people waiting for it… Yamaha R15 v3 Launch soon! This spy pic shared by one of our avid reader Prashant was clicked yesterday in Delhi while he was commuting with his wife on his Aviator. He says that the bike looks much bigger and the twin headlamp unit has DRLs. 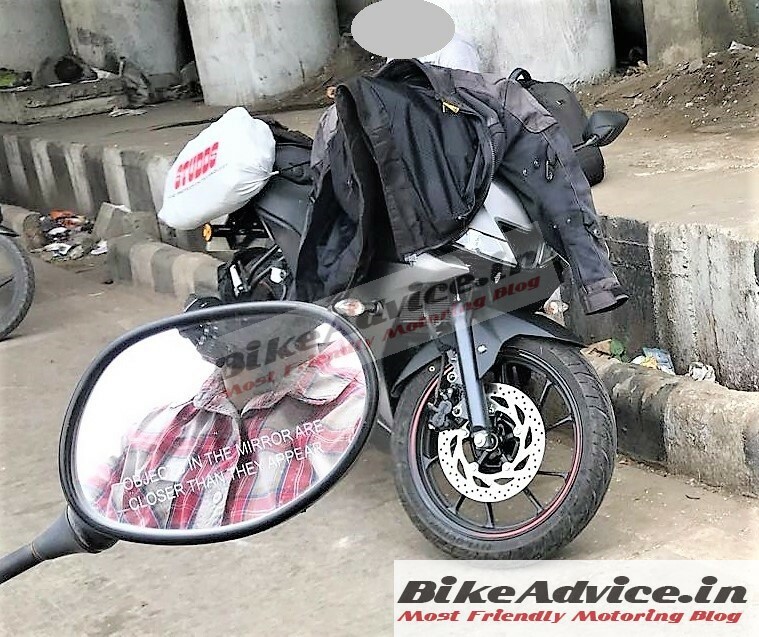 Upon asking the tester (who was more concerned about not allowing Prashant to click pictures) whether they were testing the new R15 for India – he replied in the affirmative. R15 v3 is almost an all-new version of the motorcycle and carries a new engine. On the design front it looks stunning! 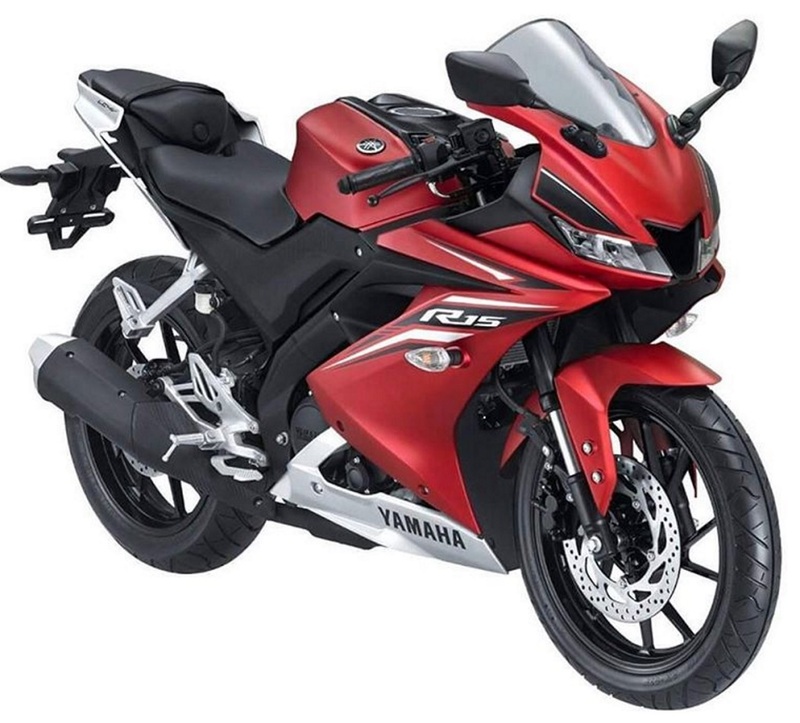 The next big question is – will Yamaha continue with the same 155 VVA single cylinder motor of the version 3 used around the world or will they, specifically for our market, plonk the existing 149 cc single? By the looks of it, it appears to be the 155 cc engine. Unlike our Indian manufacturers, these Japs let out the very final test mules for validations on the roads. After the FZ25 and Fazer 25 were spotted for the first time on the roads, the motorcycles were eventually introduced within three odd months and hence expect the Yamaha R15 v3 to be launched around December-January in India – yes this soon! This is apart from another motorcycle in the ‘R’ brand Yamaha has confirmed is coming! You can also win surprise gifts by sharing such spy pics and exclusive sneaks.